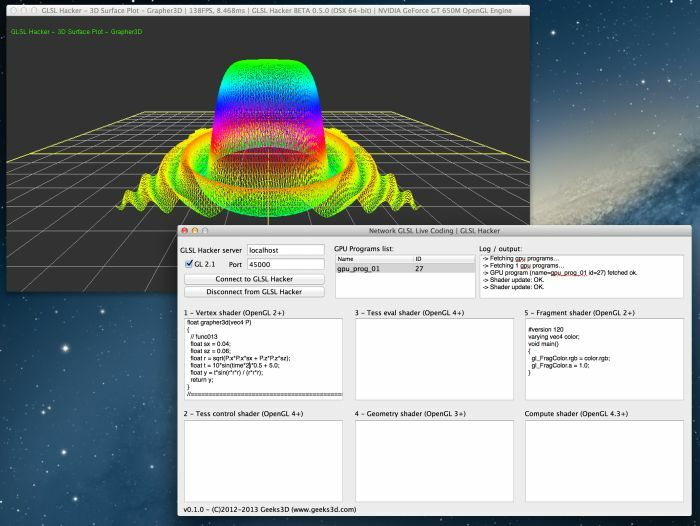 Here are some equations that allows you to compute surfaces in the 3D space following the general relation: z = f(x, y) or in the case of an OpenGL 3D space (GLSL Hacker for example), y = f(x, z). The following demos are all based on a 100×100-vertex mesh grid that is deformed by a GLSL vertex shader according to the 3D surface equation. 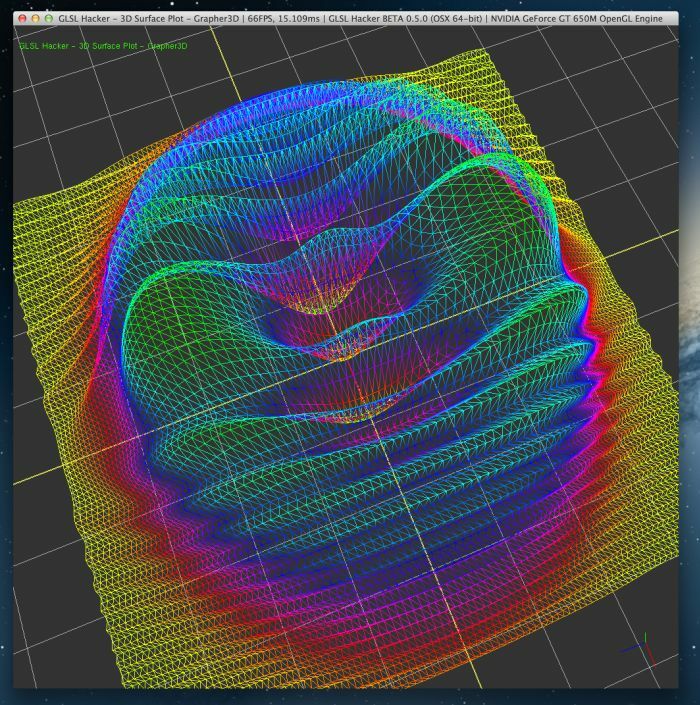 The demos have been created with GLSL Hacker (Windows / OS X / Linux) and source codes (Lua + GLSL) are available in the 3D_Surface_Plots/ folder of the Code Sample Pack. As usual, the different GLSL shaders are not specific to GLSL Hacker and can be used in any OpenGL application. Here is the vertex shader used by all demos. 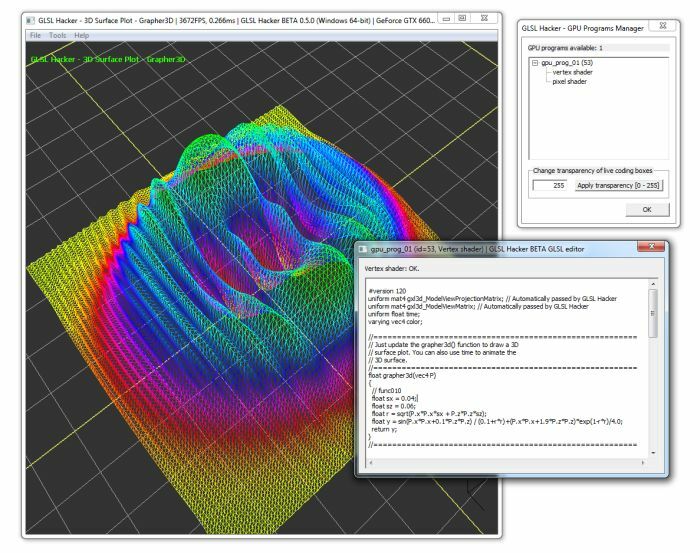 The grapher3d() function contains the equation of the 3D surface.